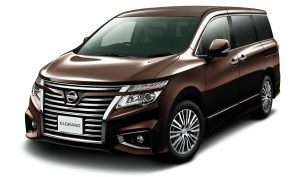 What Drives Carlos Ghosn, Chapter 7: "Current State of Business"
At the end of the fiscal year in March, Nissan Motor will close the book on Nissan Power 88, our current medium-term business plan. The two eights in the title refer to our goal for operating margin and our target for global market share at the end of the plan (to be measured in fiscal 2017). It was in the second half of 2010 that we started brainstorming for Nissan Power 88. At the time, there was no medium-term plan in place at Nissan. I had regularly introduced company plans every three years since I came to Japan in 1999, but we intentionally suspended our fourth installment – called GT 2012 – because of the financial crisis of 2008. We replaced GT 2012 with a tentative rebuilding program called simply the Recovery Plan. 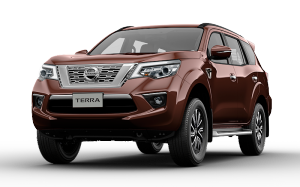 Then the earthquake occurred in March 2011, two months prior to our planned announcement of Nissan Power 88. This forced us to delay the announcement of the plan, but the rebuilding of our damaged factories and supply chains progressed rapidly thanks to the efforts of our employees and partner companies. We were able to introduce Nissan Power 88 in June of that year, with its content largely unchanged from before the earthquake. 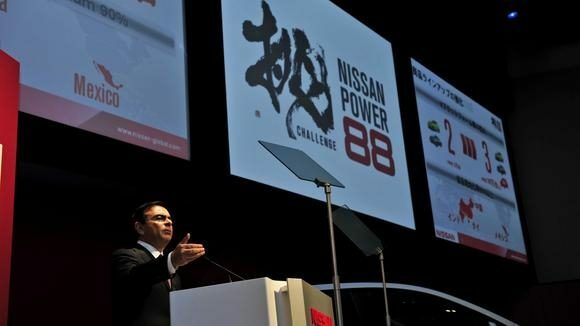 Carlos Ghosn announces Nissan Power 88, the medium-term business plan that will wrap up this year. Our goals were ambitious, as they should be, but I emphasized to our executive committee that "those numbers are simply the result." While the numbers themselves had meaning, the most important factor was sustainable growth of our brand power and sales. The use of numbers makes plans, policies and milestones easy to understand. This is why Nissan's previous medium-term plans were largely defined by numerals, such as Nissan 180 and GT 2012. They are an effective communication tool that everyone in a culturally diverse organization like Nissan can understand and share. That being said, I decided that Nissan had moved past the point of relying on just numbers to define its goals. Our cost management and profitability had been steadily rising to the best level in the automobile industry, so both an 8% operating margin and an 8 percent global market share were well within our ability to achieve. I felt that there were more important things we needed to do than just chase numbers. We had to strengthen our brand and improve sales power. So with Nissan Power 88, I tried to craft a plan that would progress at a steady pace over the course of six years. It takes time to raise brand value, but it is critical. With good brand value, we can reduce incentives and discounts. It is about quality, customer satisfaction and innovation. Today, Nissan advertises at major airports around the world and serves as a primary sponsor of soccer championships and other sports events, among other efforts to raise brand awareness and value. The results have been positive. In 2010, for example, Nissan did not even rank among the top 100 global companies by brand value, according to an annual survey we commission. Today – six years later – we have climbed to 46th. The strength of Nissan's brand power is the most effective tool for securing our long-term success. If I can forge a company that sustains quality, customer satisfaction and innovation at a high level, then that company will have a long future ahead of it. We are two months away from the end of fiscal 2016. By then, the company should be approaching an 8 percent operating margin though still short of an 8 percent global market share. But again, it is not about the individual numbers, but the sustainability of our progress. We have improved operational efficiency and increased our competitiveness. And we will turn to our next medium-term plan to further build on our progress and evolve our business for the next six years. It was after the outbreak of the global financial crisis in 2008 that someone suggested we produce the Nissan March in Thailand. We were dealing with a very strong Japanese currency. 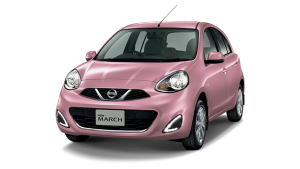 The March is one of Nissan Motor's biggest sellers in Japan. As the yen kept increasing in value, this compact car – which was produced domestically and sold for around 1 million yen ($8,798 at current rates) – became difficult to export profitably. I listened to various opinions regarding the transfer of the March's production to Thailand. Some said it would lead to "the deindustrialization of Japan." But even after the financial crisis hit, the yen continued to soar, and we needed to revise our cost structure in accordance with the changing currency rates. I asked our executive committee members,"If we move production overseas, how will quality be affected?" Our Japanese executives and engineers drew up a number of options for such a move and we narrowed them down to just a few. I held firm on our profit targets, despite the harsh business environment surrounding us. 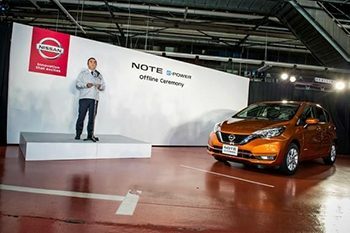 Carlos Ghosn celebrates the start of production of the remodeled NOTE subcompact at Nissan's Oppama Plant in Japan's Kanagawa Prefecture. Thailand was the most rational solution to our dilemma of how to stay true to our doctrine of great quality and high profitability. At the time, the Thai government had implemented a series of incentives for eco-friendly cars. If an automaker's vehicles met certain conditions, such as getting 20km per liter of gasoline, the government would provide corporate tax breaks and reduce the import duties on production equipment, parts and raw materials. We had long discussions about whether building a second factory for the March in Thailand was a good idea. It would entail a serious investment. But considerable sales growth was expected in Thailand, and the prices of imported cars were rising. Moreover, foreign vehicles imported into Thailand were subject to an 80 percent tariff. Considering all this, the wisdom of producing the March in Thailand looked indisputable. 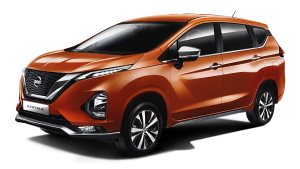 Still, I told my team: "We will do this only if we can keep the quality of the cars equal to those made in Japan." Our Japanese team replied: "Why don't we treat the Thailand plant as an extension of our Oppama factory, one that just happens to be on the other side of an ocean?" It was a good concept, and Thailand became home to the third production line of our Oppama facility, located in Japan's Kanagawa Prefecture. After the decision, a large group of engineers from Oppama were sent to Thailand for an extended period to guide the process. At the Thai factory, we decided to introduce a final process called the "elaborate line," in which we shipped cars to Japan only after they went through a comprehensive inspection. Then, after the cars arrived in Japan, we conducted another inspection before delivering them to dealerships. This process was a wonderful display of wisdom and teamwork. Later, when I decided to export the March from India to Europe, it was also because of a suggestion from our manufacturing team. The same could be said when we spun off our Kyushu factory to refine it as an export base. Everybody at Nissan kept in mind our earnings goals while coming up with their own ideas. A company doesn't work well when the ideas only come from the top. Personally, I don't like to "micromanage." I encourage all of our employees to think and act on their own. This concept hasn't changed since the creation and implementation of the Nissan Revival Plan. Neither has our commitment to the Japan market. 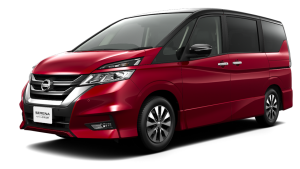 In the last several months, we introduced many of our most breakthrough products in Japan, including the award-winning Serena, the first Nissan vehicle to be equipped with ProPilot autonomous driving technology. We also unveiled the new e-Power NOTE, an addition to our lineup of efficient powertrains. In Japan, we will continue to produce 1 million vehicles a year, and we will neither change our profit guidelines nor shift production sites from overseas to Japan unless it's economically rational. One of the greatest assets of Japanese companies is the combined, on-the-ground wisdom of their workers. Tapping this resource at all of Nissan's facilities should enable us to overcome every challenge. When you've been in business as long as I have, you build a global network of contacts and receive invitations to events dealing with global issues. For example, I always look forward to attending the World Economic Forum meeting in Davos, held every January. I participated in this meeting for the first time in 1998. After the Nissan Revival Plan proved successful, I received another invitation, this time from Klaus Schwab, the founder and chairman of the World Economic Forum. He wanted me to become a member of the board of trustees. This was an exciting opportunity, as I was still in my 40s at the time, and this position would make it possible for me to hear from and talk with many of the world's political and economic leaders. This month, I returned to Davos to exchange views on current challenges in business and economic policy. Davos is not just about the connections, but the content of the conversations. It is focused on mobilizing global leaders to take action and make commitments to improve the world. Being in the automotive industry gives me a unique perspective on these issues. Much of the technology we are developing – from autonomous driving to electric vehicles – is going to benefit society beyond our customers. For example in Japan, there is growing concern about car accidents, especially with the increase in older drivers on the road. Autonomous driving will be one solution to the problem of unsafe elderly drivers. This is where technology matches social needs, and Davos gives me an additional global platform to discuss these opportunities. Government officials often become important partners in reaching business objectives. This was true, for example, in the case of Great Britain, where we celebrated the 30th anniversary of our Sunderland plant in 2016. The plant, based in Sunderland, in northeast England, employs more than 7,000 people and is a significant contributor to the national and local economies. Because of our role as a major employer, I've exchanged ideas frequently with British prime ministers, including Tony Blair, Gordon Brown and David Cameron. I also had the opportunity to visit them at No. 10 Downing Street, and Tony Blair was a frequent visitor to our factory in Sunderland, his home electoral district. I have continued this positive association with the current prime minister, Theresa May. When Brexit became a potential issue concerning the competitiveness of Sunderland, we had an open conversation and quickly reached an understanding. And then there is Russia. Renault invested in Russia's largest automaker, Avtovaz, in 2008, as did Nissan Motor in 2012, and we have been able to build a good relationship with the Russian government in the process. When we decided to seek a 25 percent stake in Avtovaz to restructure the automaker, we were competing against two other companies who offered bids, and Renault came out on top. Russian President Vladimir Putin told me the reason was because he trusted us the most to keep the Russian identity of Avtovaz's Lada brand. 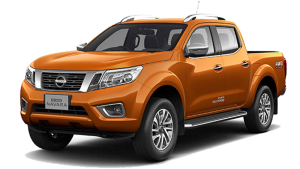 When he was re-elected president in 2012, Nissan's investment in the Russian automaker was decided: Avtovaz became part of the Nissan-Renault Alliance. Every year, a motor show alternates between Frankfurt and Paris. And every year, I host a press conference with Daimler Chairman Dieter Zetsche. There, we discuss our partnership on developing engines through the Nissan-Renault Alliance, while lounging in chairs. It is casual, and we invite the press. We have been doing this for the past few years, and I look forward to it every time. 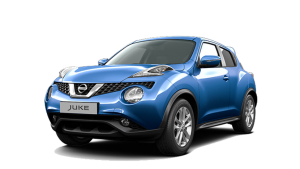 Our partnership began in 2010 when Nissan Motor and Renault agreed on a business relationship with the German automaker, which included cross-shareholding. This partnership allowed our two companies to jointly develop chassis and engines for many of our respective vehicles, from luxury cars all the way down to compacts. We planned to exchange mutually beneficial information with each other in an open way. We began with three joint projects, but now that total has reached 13. We call this relationship with Daimler a "strategic collaboration." It's different from the alliance between Nissan and Renault in that the latter is based on a high level of cooperation like that of a single corporation (although, as I have said many times, we are not). The bond between Daimler and the alliance, on the other hand, is more limited in scope. We thought it was still important to focus on the common goal of pursuing synergies wherever possible. Daimler, which went through an unsuccessful merger with Chrysler, shares our philosophy and it has worked well. 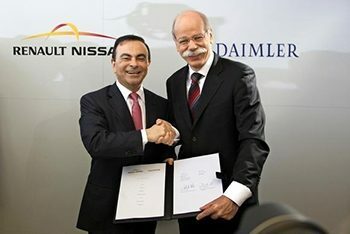 Carlos Ghosn (left) and Daimler Chairman Dieter Zetsche celebrate the launch of their partnership. 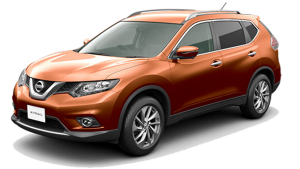 Nissan has always been an open-minded company, especially when it comes to partnerships. The automobile industry is entering an important phase where we all need to respond to new challenges, including taking responsibility to protect the environment and keeping up with new technology. It takes a great deal of time and expense to sustain stable growth while adapting to these new paradigm shifts. I believe that alliances and partnerships are the best way to meet these challenges and help us meet the demands of our era. That said, unexpected things always have a way of coming up. Of all the events of the last few years, the one that sticks out in my mind is the series of negotiations we went through with the French government after the enactment of the Florange act in 2014. This new law awarded double voting rights to equity owners who had held shares for two or more years. I will spare you the details of the negotiating process, carried out with countless government officials, but it was a very big deal for us when we finally reached a settlement at the end of 2015. The Florange act was enacted as a response to the closure of two ArcelorMittal blast furnaces. The Florange act meant that the government had gained double voting rights, and thus a stronger voice, in businesses in which it held equity. And because the French government owned about a 15% share in Renault, it would have gained a more powerful voice in the company. We were also concerned about the implications this law would have for Nissan, in which Renault owned a 43.4 percent share. At the shareholders meeting in April 2015, we offered a proposal to maintain the existing structure. The French government sought to buy additional Renault shares on a temporary basis, and our proposal was rejected by vote. Naturally, tensions between us and the government were heightened. Because I am the president of both Renault and Nissan, the situation was especially complicated. To prevent conflicts of interest, I temporarily resigned as chairman while the topic of voting rights was discussed at the Renault board. Nissan's position was presented by Hiroto Saikawa, now co-CEO, who also served as a Renault director. We took a firm stance that "the developments in France should have no impact on Nissan, which is an independent Japanese company." Otherwise, the alliance of Nissan and Renault that we'd painstakingly built over the course of 17 years would suffer. Ultimately, we were able to reach an agreement that restricted the involvement of the French government. Its voting rights at Renault were limited to certain subjects, and we agreed on a deal that would offer it no voting rights pertaining to Nissan-related subjects. In terms of long-term security, Nissan was in the clear. In fact, this was a highly important development that strengthened the trust with Renault.